Habaaskôr the Red was the god of the Habanati. In the early days of the Second Age, this tribe ruled a powerful kingdom that lay on what is now called the Savage Coast of the Dark Continent. The Habanati have long since vanished, and little is remembered of their customs. Apart from a single, dark artifact, only scattered ruins remain of their civilization. 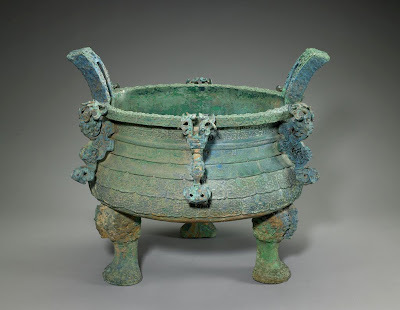 The Cauldron of Habaaskôr is a large bronze cauldron, green with age, with a hard, dark red coating inside the bowl. It is richly ornamented, though the ornaments betray little of it's sinister function. The true power of the cauldron is to summon the deity from his sleep, and bind him to the will of the summoner. To accomplish this ritual, the blood of an infant boy, a young man, a warrior, an old man, and a pregnant woman must be poured into the cauldron. Thereafter a man with no siblings must be boiled alive in it. In the moment of the sacrifice's death, the summoner must call out the name of the deity three times. Once this is done, the fell god will be forced into Argos, and he must perform one task as instructed by the summoner. I imagine that there's a hell of a battle to either destroy that thing or put it to use! You're right about that. So far there's been one battle, and the cauldron is now in the possession of a couple of less than epic guys, far from any useful place to actually stash it.